Lawrence senior Eden Kingery performs her floor routine at the state gymnastics meet on Saturday, Oct. 20, 2018 at Shawnee Mission South. OVERLAND PARK – After four years in high school, Lawrence High senior Josie Hickerson hadn’t flipped a Yurchenko Pike onto a hard surface since she was in eighth grade. 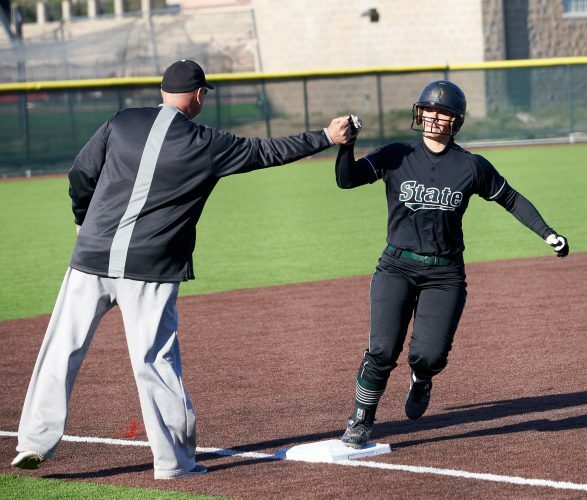 And after she landed it for the last performance of her high school career, Hickerson was surrounded with several people trying to congratulate her on Saturday at Shawnee Mission South High School. The highly difficult Yurchenko Pike consists of a roundoff back handspring onto the vault, and a pike off the vault. When she landed it on her second run, Hickerson scored a near-perfect 9.600 with teammate Paris Spotted Tail scoring almost the same two runs later with a 9.550. 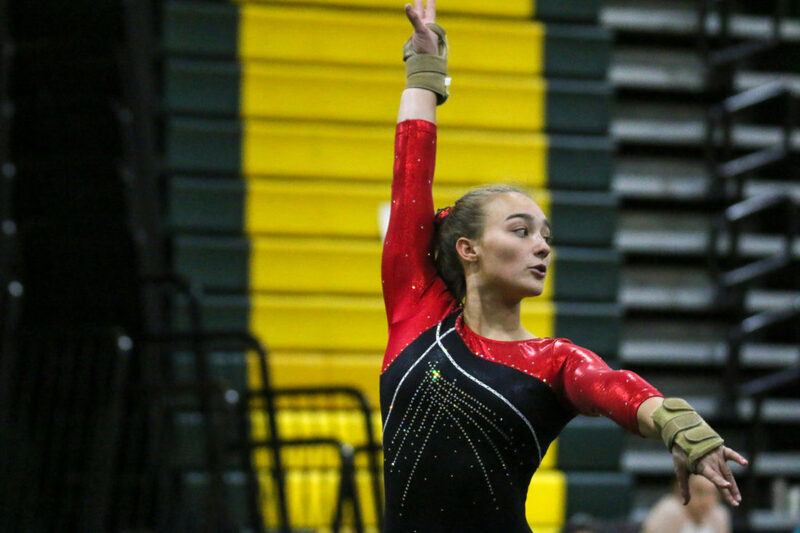 Hickerson, Spotted Tail, and Ilaria Nichelatti each flipped their vaults for the first time all season at the 2018 state gymnastics meet. The next highest score to Hickerson and Spotted Tail’s vaults on the day was Olathe East’s Liz Wasinger’s 9.350 in beam. Lawrence High senior Josie Hickerson attempts to flip a Yurchenko Pike at the state gymnastics meet on Saturday, Oct. 20, 2018 at Shawnee Mission South. The Lions’ vault score of 27.50 secured a state runner-up plaque with a team score of 103.225, improving on a fifth-place finish last season. Free State earned a fifth-place finish with a score of 99.275. 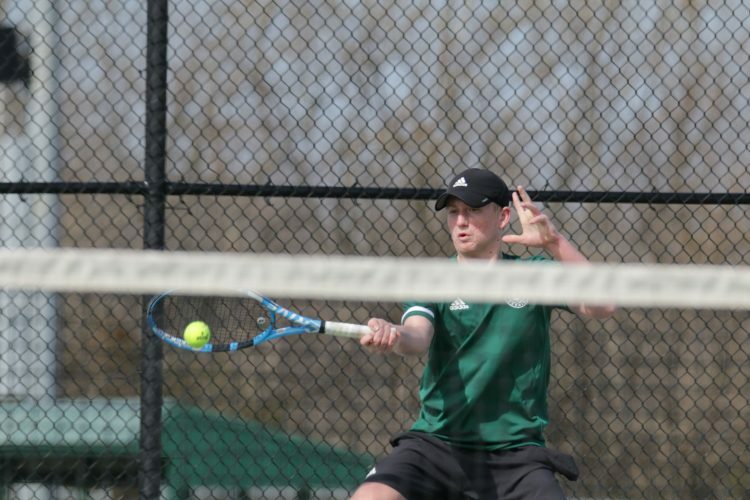 “I am so proud of these girls, we’ve worked so hard and we definitely wouldn’t have gotten second this year without the hard work and talent on this team,” Hickerson said. When asked after the meet of how proud she was of her team, coach Michelle Seidner could only shed tears. 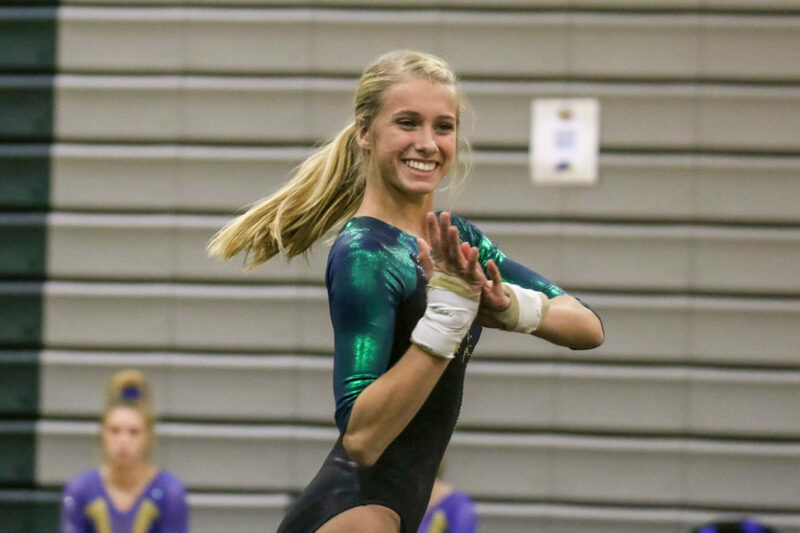 Free State gymnast Talia Gay performs her floor routine at the state gymnastics meet on Saturday, Oct. 20, 2018 at Shawnee Mission South. 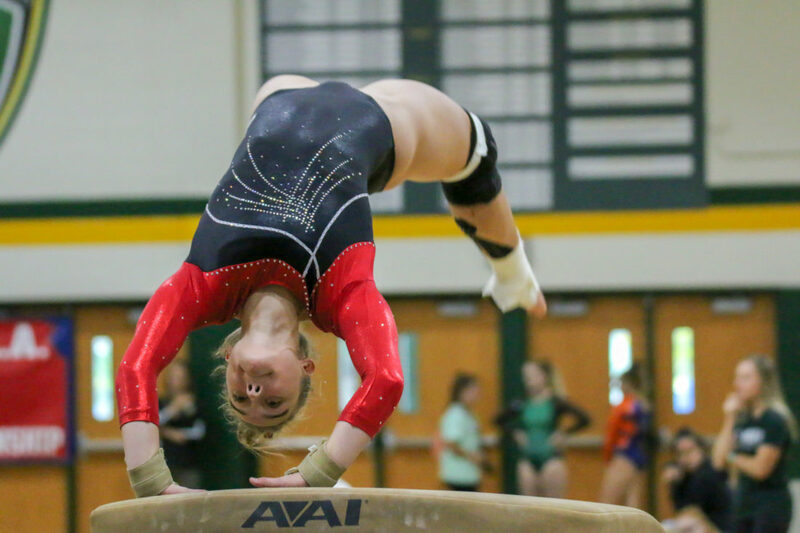 Starting out the day with lower scores in the beams and bars than they were expecting, Seidner said the Lions felt a little deflated. Still, LHS overcame that adversity and posted 27.100 in its floor routines. 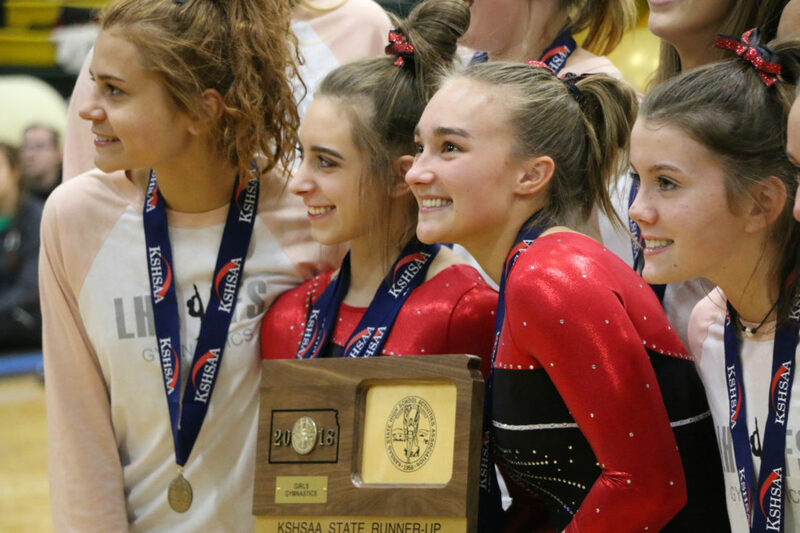 Though it was the second highest score in any event on the day, they needed to outscore Olathe East’s floor routine by more than 2.625 points. Lawrence seniors pose for a photo with the plaque at the state gymnastics meet on Saturday, October 20 at Shawnee Mission South. 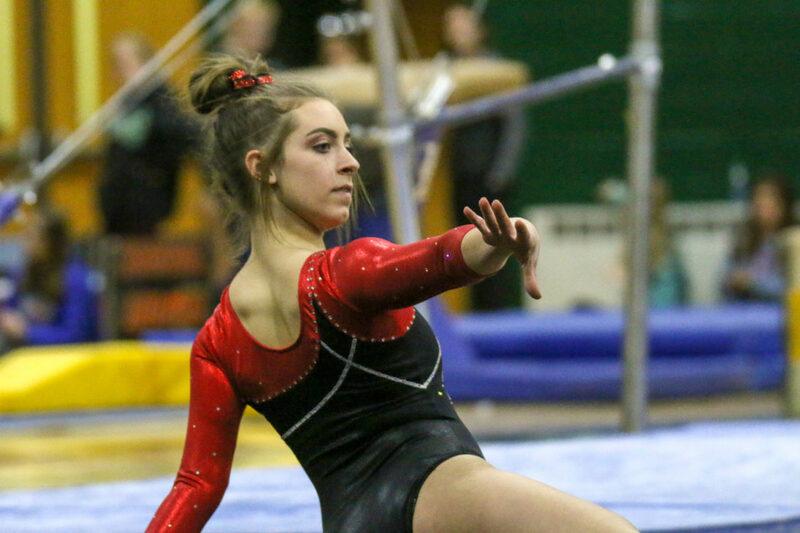 Free State sophomore Talia Gay won the all-around at the state tournament. The next six on the podium were either from Olathe East or Lawrence. Hickerson and Eden Kingery each medaled. Gay placed first in the bars as well, medaling third place in both vault and floor. Lawrence senior Josie Hickerson perfoms her floor routine at the State Gymnastics Meet, Oct. 20, 2018, at Shawnee Mission South. The Firebirds state lineup consisted of all underclassmen. Chaney Finkeldei posted a score above 30 in the all-around, while Tori Crockett finished in the top 25 of the all-around with strong performances. Ashley Mai, Savanna Dey, Ashley Mai, Avery Qualseth and Zakaya Dorsey each placed in an event for the Firebirds. As a result, the Firebirds were just as excited for the Lions finish at state. Team Scores — 1. 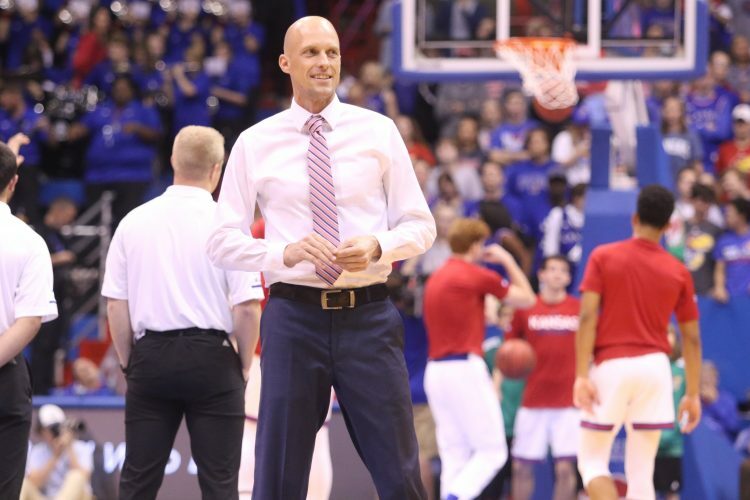 Olathe East, 105.159; 2. Lawrence 103.225; 3. SM South, 100.925; 4. SM Northwest, 100.550; 5. 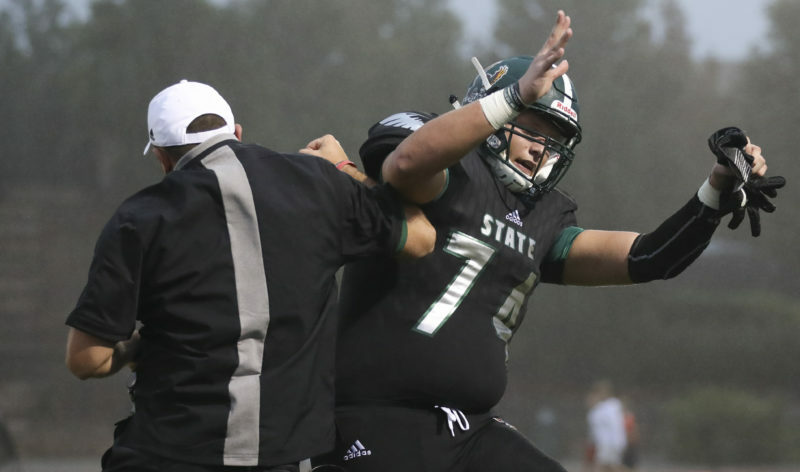 Free State, 99.735; 6. SM East, 98.500; 7. Emporia, 96.250; 8. Olathe South, 89.900. All-Around — 1. Talia Gay, FS, 36.350; 5. Josie Hickerson, LHS, 34.500; 6. 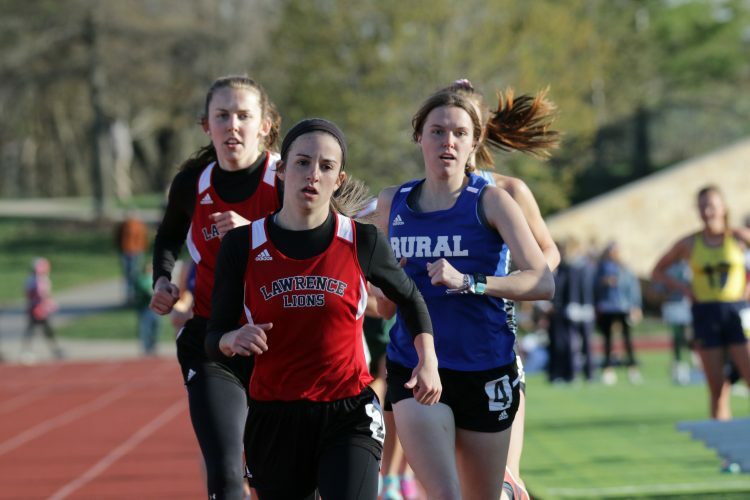 Eden Kingery, LHS, 34.275; 7. Paris Spotted Tail, LHS, 34.250; 18. Chaney Finkeldei, FS, 32.00; 24. Tori Crockett, FS, 29.700. Vault — 1. Hickerson, 9.600; 2. Spotted Tail, 9.550; 3. Gay. 9.300; T-10. Crockett, 8.650; T-18. Savanna Dey, 8.550; T-25. FInkeldei, 8.450; T-25. Kingery, 8.450; T-38. Ilaria Nichelatti, LHS, 8.350; 41. Ashley Mai, FS, 8.150; Klara Hinson, LHS, 8.100. Bars — 1. Gay, 9.075; 7. Spotted Tail, 8.000; T-14. Hickerson, 7.775; 19. Kingery, 7.550; 23. Nichelatti, 7.325; T-26. Finkeldei, 7.150; 32. Crockett, 6.775; 34. Avery Qualseth, FS, 6.425; 36. Beth Brandt, LHS, 6.275; 40. Zakaya Dorsey, FS, 4.950. Beam — 4. Kingery, 9.250; 7. Gay, 8.875; T-15. Hickerson, 8.200; 18. Finkeldei, 7.900; 22. Qualseth, 7.800; 26. Spotted Tail, 7.550; 30. Dorsey, 7.450; 35. Crockett, 6.900; 38. Reece Wohlford, LHS, 6.600. Floor — 2. Spotted Tail, 9.150; 3. Gay, 9.100; 7. Kingery, 9.025; T-10. Hickerson, 8.925; 18. Finkeldei, 8.500; 19. Nichelatti, 8.475; T-30. Dey, 8.050; 33. Brandt, 8.025; 35. Dorsey, 7.950; 40. Crockett, 7.375.